When looking at the games we’ve listed, with consideration for the experience they give the gamer, we’ll opt for one key word: simplicity. A lot of these titles aren’t simple to beat — far from it — but the principles of gameplay are basic and easy to pick up and play. There aren’t any concerns about navigating a 3D world, but rather the core of the experience is to run and jump. Sometimes shooting is thrown into the mix, but these are titles that, with practice, can be understood and enjoyed by everyone. It is little surprise, then, that Nintendo and other developers reviewed the audience for the Wii and decided that 2D gaming would sell. Much has been said about the Wii and whether it caters for experienced gamers or not, but a lot of these titles find a good balance between challenge and simplicity of play. Although we’ve seen some efforts from Sony and Microsoft to target this genre, particularly in download offerings, Nintendo consoles are undoubtedly the place to go for classic 2D sidescrolling gameplay. 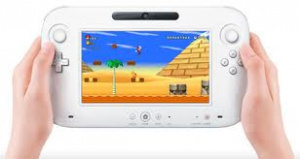 It was notable that the Wii U unveiling at E3 demonstrated the potential for the speculatively titled New Super Mario Bros Mii, with this game being one of the first features in the concept video. We expect the next few years to see another influx of 2D, or 2.5D, games flooding onto Nintendo consoles. Metroid on the 3DS, perhaps, while we’d also like to think a Donkey Kong Country Returns sequel will arrive sooner rather than later. It makes commercial sense from the perspective of other developers, as well, as the upcoming multi-platform release of Rayman Origins suggests. This is a genre that can cut across divides in gamer’s abilities, and we suspect these titles will last as long as video games themselves. Simple, fun, challenging and accessible all at once; gaming without these franchises and modern re-imaginings would be a dull prospect indeed.